You Are Here: Home > 2019 INFINITI QX60 vs 2019 Subaru Ascent | Which is Better? If you’re in the market for a luxurious crossover SUV, take a serious look at the 2019 INFINITI QX60. Its comfortable seating and plush ride promise to leave you impressed. The arrival of more standard safety features makes the 2019 INFINITI QX60 an even more rewarding family vehicle. While the QX60 is impressive, some drivers may also be considering the 2019 Subaru Ascent. Let’s see which one of these three-row crossovers comes out ahead in this head-to-head comparison. Powering the 2019 INFINITI QX60 is a muscular 3.5-liter, V6 engine. It’s tuned to develop a formidable 295 horsepower, which is noticeably more power than you get with the Subaru Ascent. The Ascent’s turbocharged four-cylinder engine develops a less inspiring 260 horsepower. When driving around with a full load of passengers and cargo, the QX60’s stronger punch under the hood is bound to come in handy. Furthermore, most people will find the INFINITI QX60 to be more engaging to drive. Its lower center of gravity promotes especially balanced handling on the road. You’ll also enjoy the QX60’s Eco Pedal, which helps you to get the best possible fuel efficiency. Both crossovers are designed to accommodate big families. However, the 2019 INFINITI QX60 gives your second-row passengers more space to stretch out. They’ll enjoy an extra 3.1 inches of legroom. While both SUVs come equipped with an attractive list of features, the QX60 feels far more luxurious. Its standard 8.0-inch touch screen dwarfs the Subaru Ascent’s 6.5-inch touch screen. Furthermore, only the QX60 comes standard with blind-spot monitoring. This valuable driving aid makes driving on the highway a lot less stressful. You can also take advantage of the QX60’s available 360-degree parking camera. INFINITI’s Backup Collision Intervention system is another technology not available on the Subaru Ascent. The 2019 INFINITI QX60’s eye-catching styling gives it a key advantage over the competition. A muscular hood and hulky fenders highlight the crossover’s brawny appearance. You’ll also notice the QX60’s sportier stance. If you desire an even more stunning look, opt for the new Limited package. It outfits the QX60 with special 20-inch wheels, a dark chrome front grille, and a unique rear fascia. Some of the head-turning paint colors include Red Bordeaux, Black Obsidian, and Majestic White. While the 2019 Subaru Ascent is stylish, it simply doesn’t look as exciting as the new QX60. The 2019 INFINITI QX60’s more inspiring performance, luxurious interior, and sharp exterior styling help it to win this comparison. 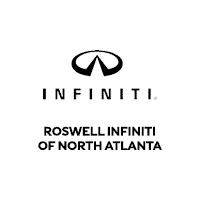 To experience the new QX60 for yourself, contact Roswell INFINITI to request a test drive.